Here’s your chance to win a Mazda 2 SKYACTIV from ZALORA. 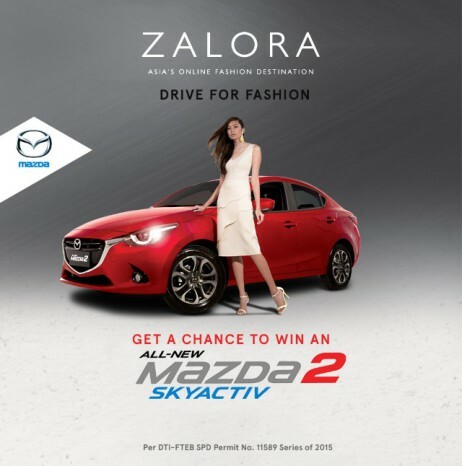 ZALORA, Asia’s online fashion destination has teamed up with Japanese automotive brand Mazda in giving away a Mazda2. Yes, you read that right – they’re raffling-off an all-new Mazda2 SKYACTIV R. The “Mazda2 Drive for Fashion” online raffle runs from September 17 to November 30, 2015. Check out http://www.zalora.com.ph/mazda-raffle/ to join.